This AT&SF locomotive crane #112 is an Orton 30-ton, gasoline operated locomotive crane, serial # 48546. 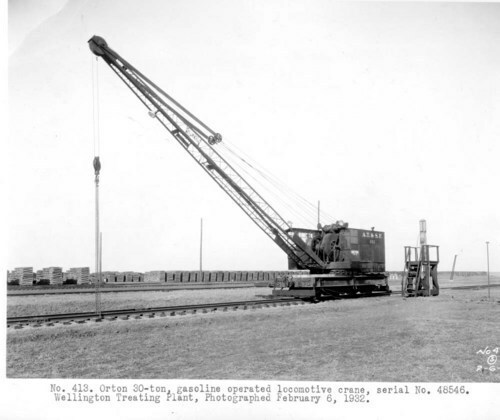 The photograph was taken at the Wellington Tie Treating Plant for railroad ties, Wellington, Kansas. The stand nearby contains a gasoline pump.